FUNDING to tackle the flooding problem at Carnreagh Road near Drumaroad has been confirmed, South Down MP Chris Hazzard has revealed. News that work on a flood alleviation scheme was being considered as a priority was first mooted last month. It came after local people complained to local elected representatives that the road was once again impassable in bad weather. The figure for the work was put at £250,000 as the Department of Infrastructure promised to tried to reprioritise other projects to give the project a green light with the aim of completion by next March. This scheme will involve the construction of a new culvert to address the flooding problem that has been occurring for several decades. However, any continuing rain could impact on the work as progress will be subject to favourable weather conditions over the next few months. The flooding problem has adversely impacted on local people for years as the Carnreagh Road is used as a main route between Dundrum and Dromara. Emergency services had to be rerouted miles out of their way recently when the road was closed due to flood and a woman had to be rescued from her stricken car. Mr Hazzard welcomed the confirmation that the funding is now in place. The Sinn Féin man was also quick to pay tribute to local residents and emergency services who have helped stranded vehicles in recent days. He said: “In recent weeks we have again seen the urgency for which this isolated local community needs to see this perennial problem solved once and for all. “I want to pay special tribute to those local residents, and indeed the emergency services, who have come to the aid of stranded drivers as they’ve been forced to abandon their vehicles in the flood waters. 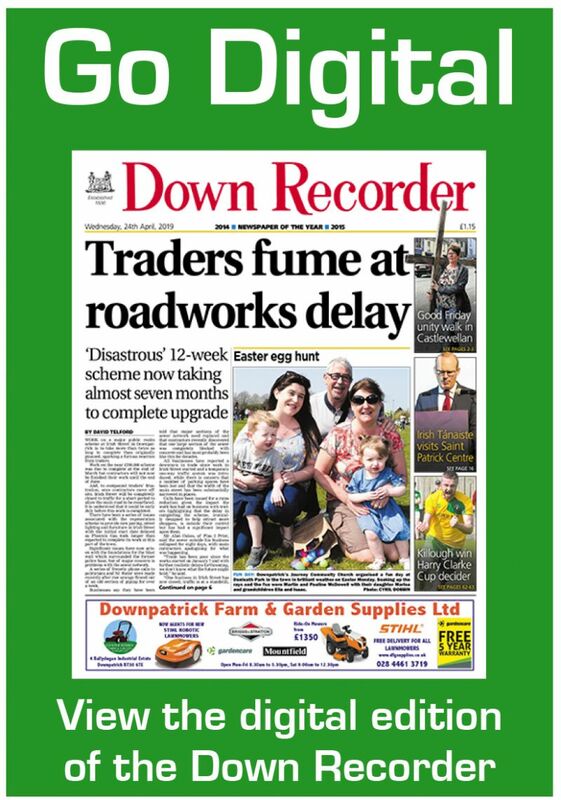 He added that he hoped that discussions between the DfI Roads officials and local landowners could progress as quickly as possible so that work can start as soon as possible.